Without doubt, crystal methamphetamine, or ice, is capable of causing immense harm. That's true for many drugs, including alcohol. But when facts are distorted to create fear and stigma it helps no one. Not the people who use ice. Not their families. Not the health professionals supporting them. Not the police who enforce drug law. Ice Wars, airing over the next few weeks on ABC, shows the dark side of crystal methamphetamine use. It shows the great, but difficult work that police, mental health and substance use treatment professionals do every day. It carefully explains some of the commonly misunderstood effects of the drug. It shows the breadth of the ice problem across police, treatment services and individuals. And it shows how people are suffering and the compassionate response that is possible from health workers and police. As senior law enforcement officials line up to say Australia cannot arrest its way out of our illicit drug problems, some politicians have expressed opposing views about drug consumption rooms. This debate is now raging in Melbourne. Drug consumption rooms enable people to use drugs under the supervision of trained staff. Generally established close to large drug markets, they have been shown to reduce the spread of HIV and hepatitis C, reduce deaths and injuries due to drug overdose, reduce ambulance call-outs, increase referral to health and social services including detoxification and drug addiction treatment and reduce public drug injecting and numbers of discarded needles. Last weekend saw another series of overdoses, this time in Melbourne. According to the United Nation's 2014 World Drug Report, Australia has the highest proportion of recreational drug users in the world. This suggests that this country's drug policy has been ineffective in reducing use or curbing demand, let alone protecting people from the harm that illicit drugs can cause. For example, we are number one in the world when it comes to per capita use of ecstasy. While the government has paid lip service to "harm minimisation", it has actively opposed the use of pill testing at concerts and festivals. Not only does pill testing help people to avoid consuming ecstasy laced with dangerous chemicals, it additionally appears to have an impact in shaping the black market. According to a report made by the National Drug and Alcohol Research Centre, "Products identified as particularly dangerous that subsequently became the subject of warning campaigns were found to leave the market." Despite the evidence of pill testing providing safer outcomes for users, all Australian Governments have taken a more puritanical approach. The safety advice given to punters, is simple. "Don"t do it. Don't take the pills and you'll be fine." 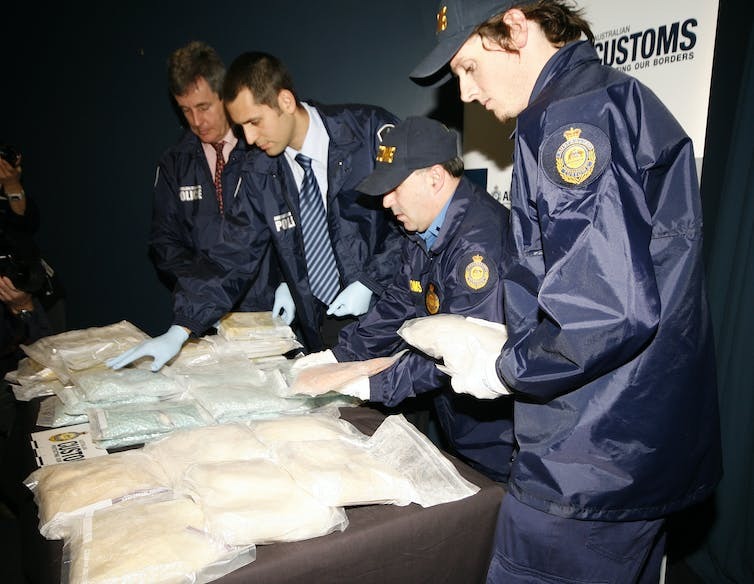 Drug prohibition is not protecting young Australians; it is killing them. Last weekend, an apparently tainted batch of illegal drugs caused the needless deaths of three Melbournians and left another 20 hospitalised. In 2015, six ecstasy-related deaths were reported at Australian music festivals, and the latest statistics show that, on average, four Australians die every day from drug overdose. That's 1400 people per year.